Click here to go straight to the recipe. Update 07/16: I now have a pressure cooker and cook my beans in that. IT IS SO FAST! Read more here. Cans are lined with plastic that often contains BPA. Because of heightened consumer awareness of the hazards of this chemical, food companies have been quick to adopt alternatives—which may pose similar or worse health dangers. Cooked dried beans taste better than canned beans. I find that canned beans taste like plastic and have a slimy, mushy texture. Food cooked from scratch always wins. I can control what goes into my food when I cook it myself. Canned beans usually have a ton of sodium. Mine don’t. Dried beans can cost less than canned. A pound of dried beans makes about three cans worth of cooked beans. Three cans of organic beans will almost always cost more than a pound of dried organic beans. Dried beans consume less oil in their transport to the store. That’s because they weigh less. Dried beans look good stored in glass jars in your kitchen. Canned beans, not so much. I call myself “The Zero-Waste Chef,” so I avoid packaging. I rarely recycle. Don’t freak out. I reduce. The big food and beverage companies would love us all to believe that we can consume as much overpackaged, processed food as we want, anytime we want, because as long as we recycle all that packaging (which doesn’t happen—check out the municipal recycling rates from the EPA), we can continue our unchecked consumption. In reality, recycling is a last resort. So, one reason I don’t eat packaged foods is to cut back on, well, packaging. Now that I’ve convinced you to never buy a can of beans again, read on to find out how you can easily cook beans in a slow cooker. (You can also cook them in a pot on the stove.) I’ve chosen black beans for this post. 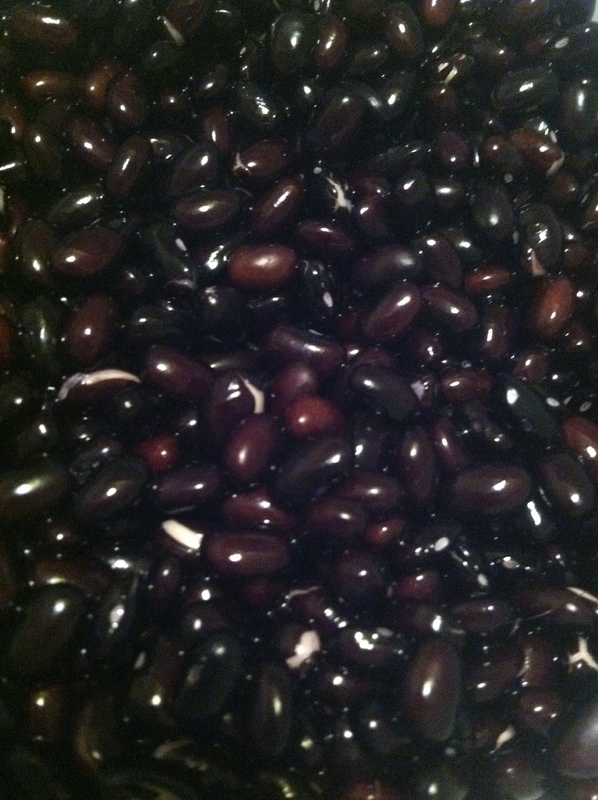 My slow cooker is small (about 4 quarts if that), so I used 1 1/2 cups of beans. 1. The night before you cook your beans, rinse them in a colander under cool running water. 2. 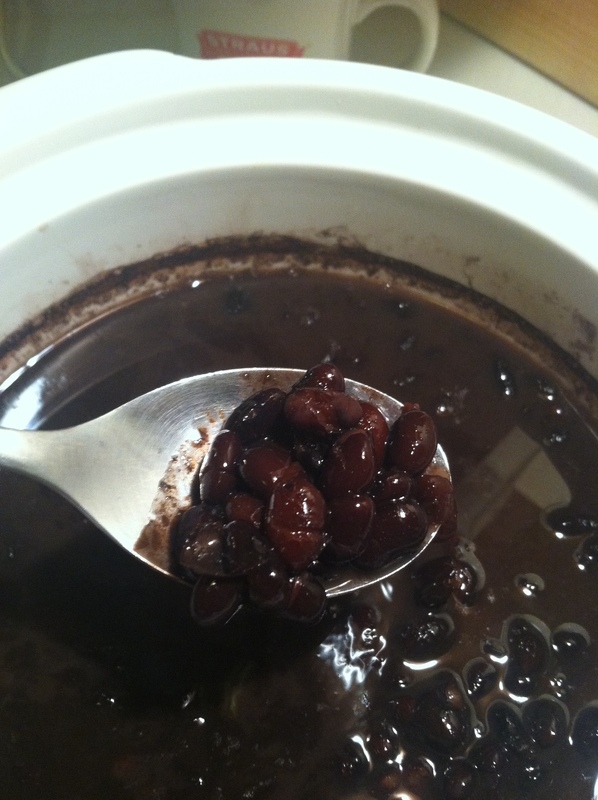 Place rinsed beans in the slow cooker crock. Pour water over beans to cover by about two inches. Do not turn on the slow cooker! 3. 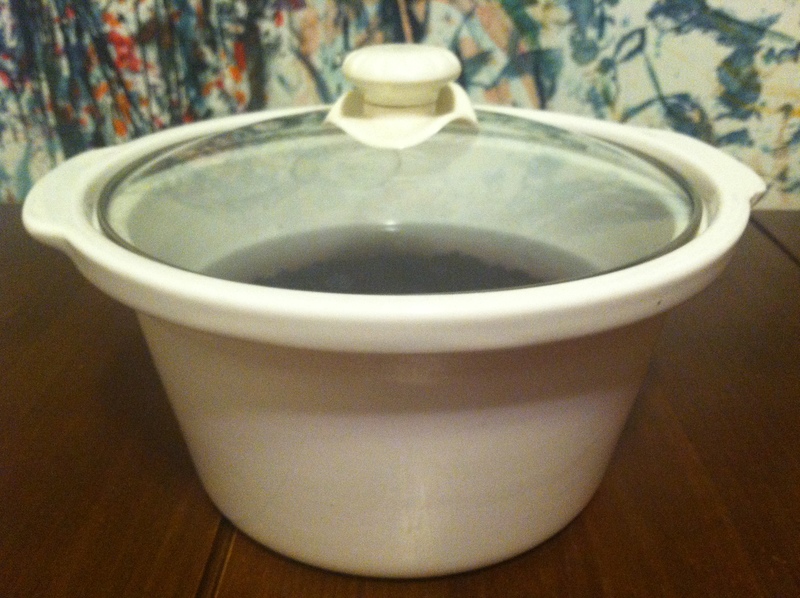 Let crock sit about eight hours or overnight. 4. The pics above show my beans in the morning. The water in the left image a purplish-black. Drain the beans in a colander and rinse them under cool water. They will have plumped up a bit, as in the image on the right above. 5. Return the black beans to the slow cooker. Add enough water to cover the beans by about two inches. Cook on low for six to eight hours, or until the beans pass the “5-bean test” (if you eat five beans and all five are tender, then the whole pot is cooked). If one bean fails the test, continue to cook the beans and check them every quarter or half hour. At the end of cooking, the slow cooker will still contain a lot of liquid (as in the image at the top of the post). 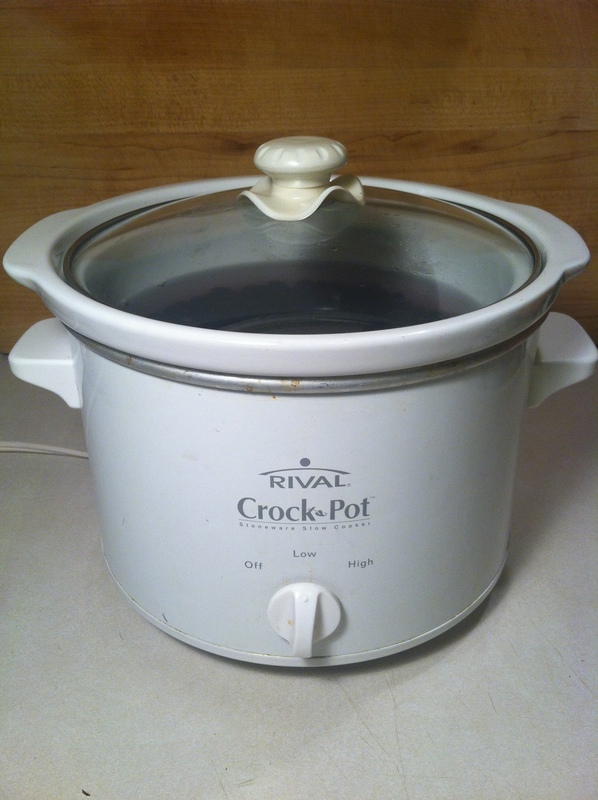 If you don’t have a slow cooker, place your beans in a pot on the stove and cover with water. Bring everything to a boil, turn down the heat and simmer for an hour (at least). Make sure you top off the water as it boils off to avoid burning the beans (and damaging your pot). Beans will keep in the refrigerator for about a week. You can drain them or store them in their liquid. 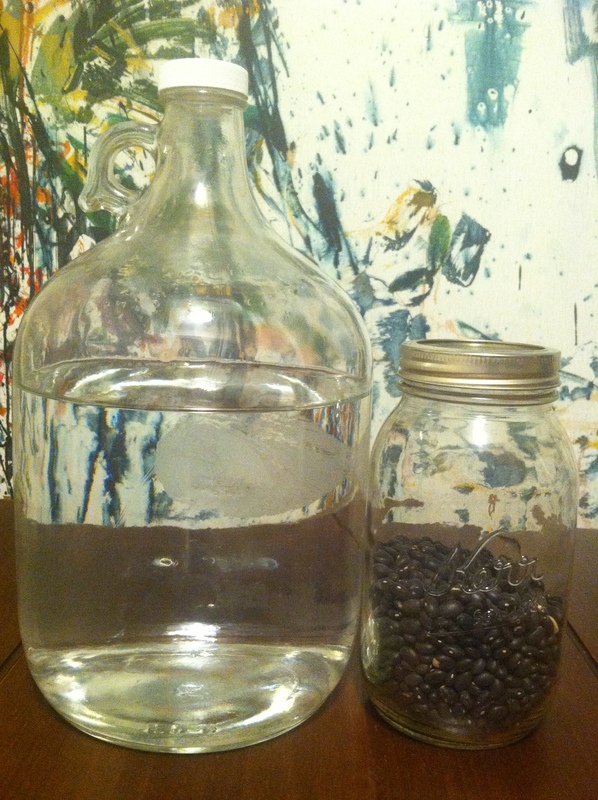 Some recipes, like my spicy black beans, call for the liquid as well as the beans. Beans will keep in the freezer for about six months. To freeze them along with their liquid, leave at least an inch of space at the top of the jar to allow for expansion. Otherwise your jars may explode. Also—and I speak from experience—store in wide mouth jars in the freezer. I’ve had jars with more narrow necks explode too. You can also simply freeze beans drained. 4. Drain the beans in a colander and rinse them under cool water. 5. 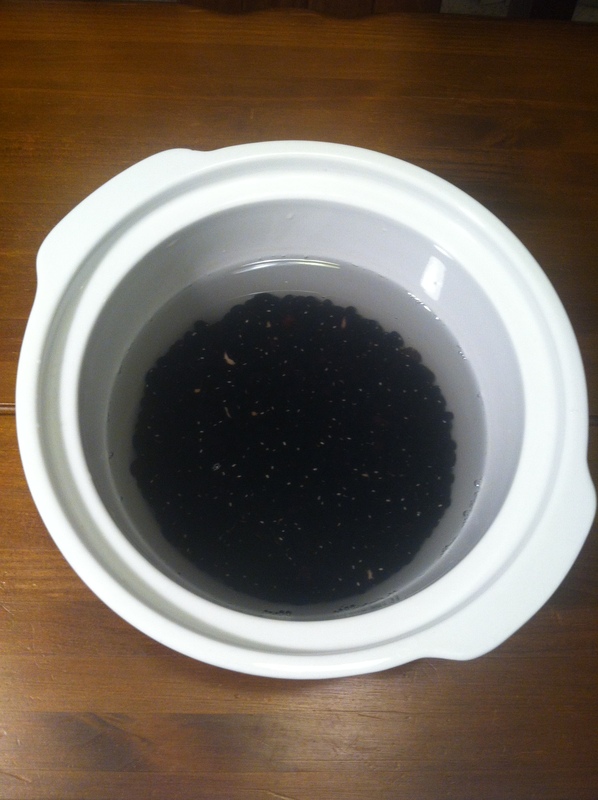 Return the black beans to the slow cooker. Add enough water to cover the beans by about two inches. Cook on low for six to eight hours, or until the beans pass the “5-bean test” (if you eat five beans and all five are tender, then the whole pot is cooked). If one bean fails the test, continue to cook the beans and check them every quarter or half hour. 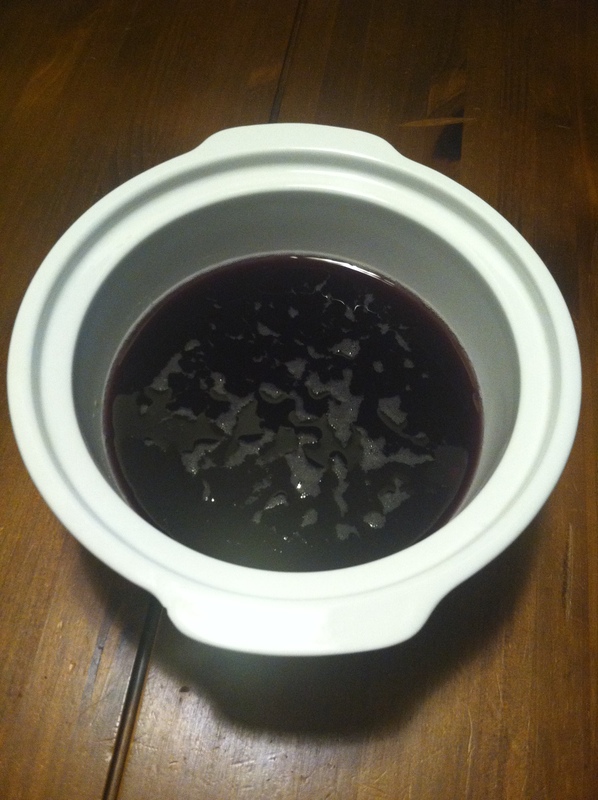 At the end of cooking, the slow cooker will still contain a lot of liquid. If you don’t have a slow cooker, follow first four steps, then place your beans in a pot on top of the stove and cover with water. Bring everything to a boil, turn down the heat and simmer for an hour (at least). Make sure you top off the water as it boils off to avoid burning the beans (and damaging your pot).